"it would have to operate for a very long time to reach the same level of acceleration"
Cannot reach the same level of acceleration. Acceleration is smaller, so it has to operate longer to reach the same level of speed. That's what you get when a reporter who is not a scientist or engineer writes an article dealing with science and engineering. Speed is still the wrong term. 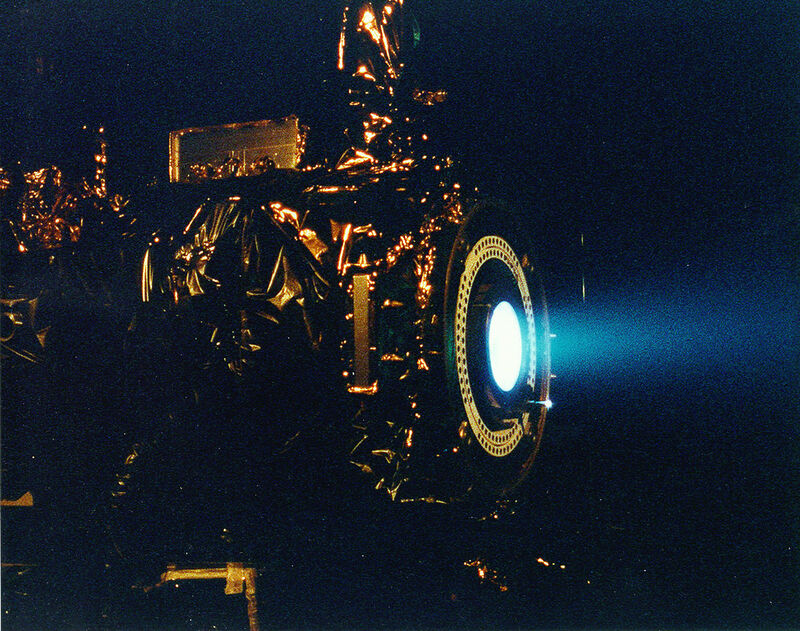 The ion thruster has greater total ∆v, but lower thrust. The reason speed is wrong, because, for example, if you have an elliptical orbit, you will have a wide variety of different speeds going from periapsis to apoapsis. Well, that much I didn't wanna go into :D You are right though, speed is relative and it does change along the orbit. You sound rather eccentric to me. My inclination is to believe that your argument of periapsis is invalid. You sound rather confused to me. Your inclination to rely on 'belief' is invalid. That depends on distance, and is literally the entire point lol. Yes short distances, chemical propulsion is much faster. you wouldn't ever use an ion engine to go to the moon. But the ion's usefulness grows with distances, since it can (theoretically) run nonstop, slowly adding acceleration for the duration of the trip. especially with the bonus of not having to carry its fuel supply from launch, and thus not being limited to a finite ΔV. Picture it like this. you have 2 means of transportation every time you go out. Means 1 Has high acceleration, But a finite time to accelerate. Means 2 has a much slower acceleration, but never stops accelerating. If you wanted to go somewhere 200 million meters away, means B would absolutely smoke means A.
compare that to a top speed of 20,000 m/s for means B, taking about the same overall trip time. Say we go 500 million meters then? Top speed for A:: 10,000 m/s Trip time? : about 13 and a half hours. Top Speed for B? : 31,622 m/s Trip Time? : about 4 hours. The farther you go, the faster the overall speeds you can reach, the shorter the overall trip time. and yes, these numbers are obviously not directly applicable to the reality, they are simplified to demonstrate a point. The logic still applies though. n m/s^2 will always beat out any set speed with enough distance. even if we are talking 0.0002 m/s^ applied against 5000 m/s^2 for t duration. if you have a large enough distance between the 2 after t has passed, your 0.0002 m/s^2 acceleration will eventually allow you to pass the other ship. Why not simply use chemical tech to accelerate to a starting speed then switch to Ion Thrusters to go the distance? How do you think the spacecraft will get into orbit in the first place? Chemical rockets are used to escape the atmosphere and probably place it in a high orbit close to escape velocity, then the ion thrusters kick in. Even if they could get those speeds can a Human body even handle it? High speeds are not a problem. High accelerations might be problematic, since they have the same effects on the body as high gravitation. Newtons 2. law; F = m·a (The force equals the product of mass and acceleration). exactly. Speed is relative. I am currently moving at 0 m/s relative to my couch. roughly 223 m/s relative to the planets pole. roughly 30,000 m/s relative to the sun.... even faster relative to the black hole central to the milky way. so on and so forth. On earth, if you were able to achieve these speeds inside a safe capsule (to not be ripped to shreds by the insane drag and ball of plasma forming in-front of you) you would be fine. though, Approaching the speed of light would have some interesting nonfatal impacts on a person. looking out the window would be quite interesting for example. that's why you would need to begin the travels already docked in space. And use conventional thrusters to deliver crew and payload, to exit earth's gravitational pull. I don't think speed would have a negative affect in space as it would trying to push against gravity. Tell me I'm wrong. Is there anything on electrical magnetic propulsion? Using the magnetic fields of the planets and the galaxy? They're not something you can use that way. 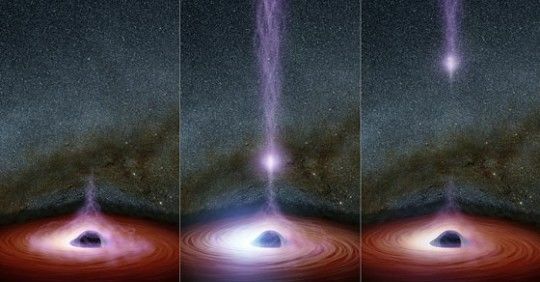 You could, in theory, turn by "banking" off the galactic magnetic field, if you don't mind a turn almost a light-year wide, but you can't really use magnetic fields for acceleration and deceleration like that. Assuming that it is technically possible (and assuming that I have calculated correctly), accelerating at 1g for 9 months would take a craft to 0.773c. Traveling at that velocity for 4.5 years , then decelerating at the same acceleration rate (1g) for the same period (9 months) would take a craft around 4 light years away - the nearest star. 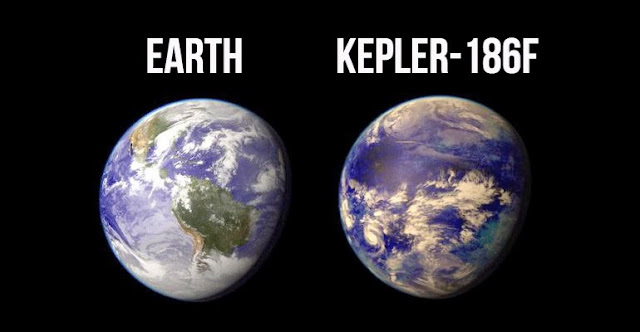 Increasing the "cruise" period from 4.5 to 15 years would take a craft 12 light years away - the currently believed closest earth like exoplanet. Don't believe the hype. Dawn can only generate 6.7 m/sec DV *per day*. DV from LEO to Mars Hohmann transfer is 3.8 km/sec. This means a chemical rocket would have a 567 day head start. Ion thrust will have to become many orders of magnitude more powerful before it will be competitive with chemical rockets for such a short trip. You fail to take into account acceleration time. Chemical rockets have to do all their acceleration up front, then coast until it's time to decelerate. A Hall thruster would be able to accelerate *continuously* for the first half of the trip; you turn halfway there, and use the second half to decelerate at the same thrust until you arrive at your destination. Your top speed (for lack of a more accurate term) winds up being much higher that way. Chemical rockets could, hypothetically, achieve even greater velocities - but you'd need to carry enough chemical fuels for that. And those fuels are both bulky and massive - you'd run into diminishing returns *real* fast. Nope, constant-thrust is the way to go for rapid interplanetary travel, and so far ion thrusters are the only way we have to do that. But where are you storing the fuel? It has to be boosted too, you know. "A chemical rocket tops out at around five kilometers per second (1.86 miles/sec)". Which one is correct, 5 km/s or 1.86 miles/s? At least one of them is wrong. It should be 3 km/s (1.86 miles/s). Source: Google/wiki. don't quite follow this. 1.86 m/s equates to about 6700 mph. We would never be able to achieve orbital speed or speed to have reached the moon? What am I missing? We went around the earth several times to gain speed, did we not ? 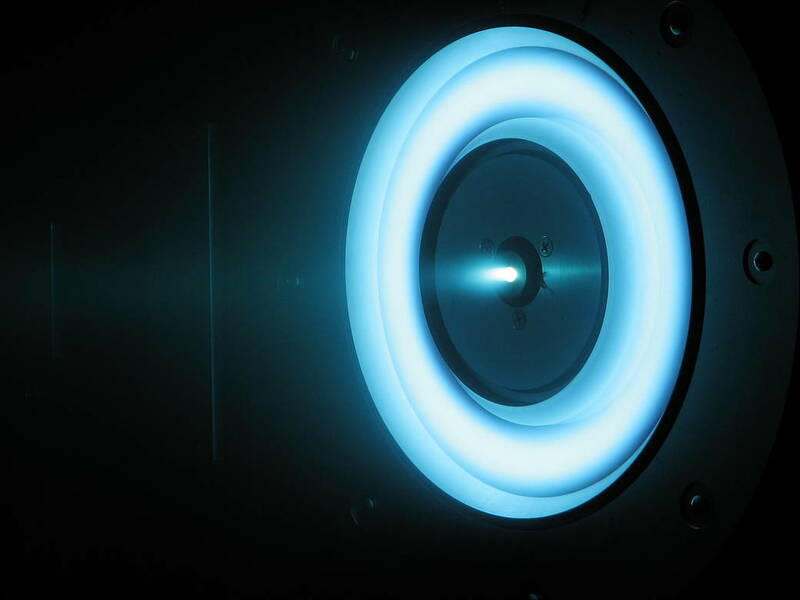 Neumann Aerospace is currently developing metallic ion thruster that has better long-term performance. I know Dr. Neumann, an Adelaide-based researcher. Preliminary results are pretty exciting. "A chemical rocket tops out at around five kilometers per second (1.86 miles/sec)"
The escape velocity from Earth is about 11.186 km/s (6.951 mi/s; 40,270 km/h; 25,020 mph) at the surface. Current chemical rockets achieve this, so these numbers must be wrong. Without being an engineer, I'd say that the numbers are not wrong. It's just that rockets being used now actually have 2 or 3 stages, meaning 2 or 3 separate steps of acceleration (kicks), which help in multiple ways. For example, a few hundred kms above Earth the escape velocity is smaller, so the last kick doesn't have to be as strong (compared to what would've been on Earth), and the actual power needed to give the kick is also smaller because it's being done in extremely rarefied atm and so on. "A chemical rocket tops out at around five kilometers per second (1.86 miles/sec), while a Hall thruster can reach speeds of up to 40 kilometers per second (25 miles/sec)." This is crap. The rocket tops out at whatever velocity is reached when acceleration ends. Do they instead mean the rocket *exit* velocity? What a poorly written article. 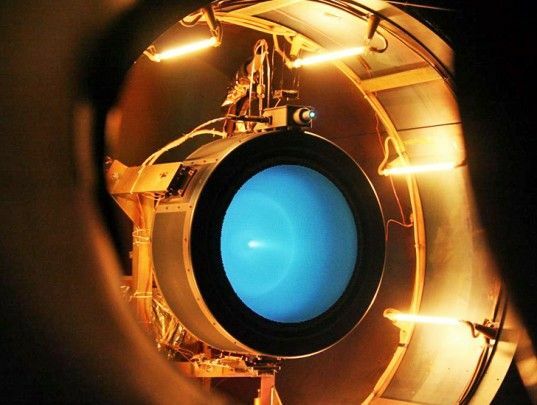 "the ionic alternative is capable of a very small amount of thrust. This means that it would have to operate for a very long time to reach the same level of acceleration as a chemical system, and as a result it’s not currently suitable for the launch process"
NO - a small amount of thrust gives a small acceleration - period. For a given velocity it would have to operate for quite a longer time than chemical thrusters to attain that velocity relative to the earth. The academy fails. Use what we have now, and do it now. Carpé Diem. Not sure about the science, so I'll leave that up to y'all. But I did notice that the writer likes to use the word, "however" a lot. In what universe is 5 km/sec the same speed as 1.86 miles/sec? Ad Astra Rocket Company have been building a VASIMR plasma rocket, and it looks very promising. one quick question from me ? if one drive accelerates with 5.4 Newtons of thrust can we fit a few more to the spacecraft so we can get more ?